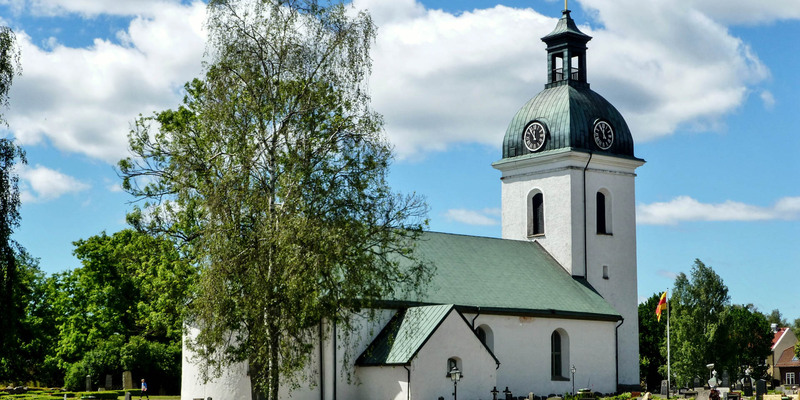 The historical church Åseda Kyrka, whose roots date to the early 13th century, was the nucleus of Åseda, the present central town of the municipality Uppvidinge Kommun. 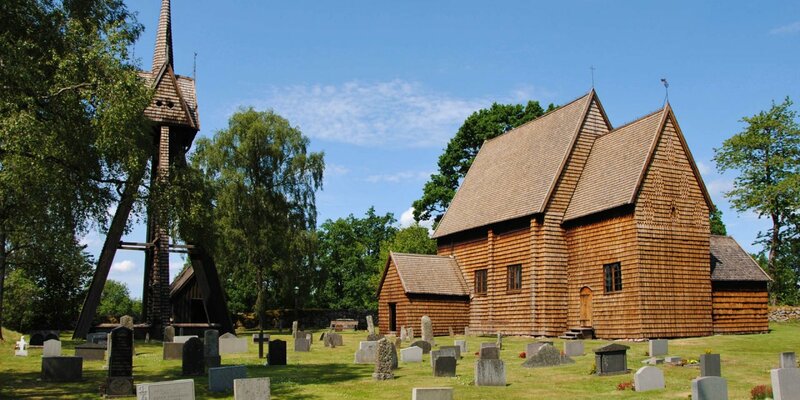 The medieval predecessor of today's Åseda Kyrka was a wooden church that was built around 1200 at this point and was dedicated to St. Olaf. 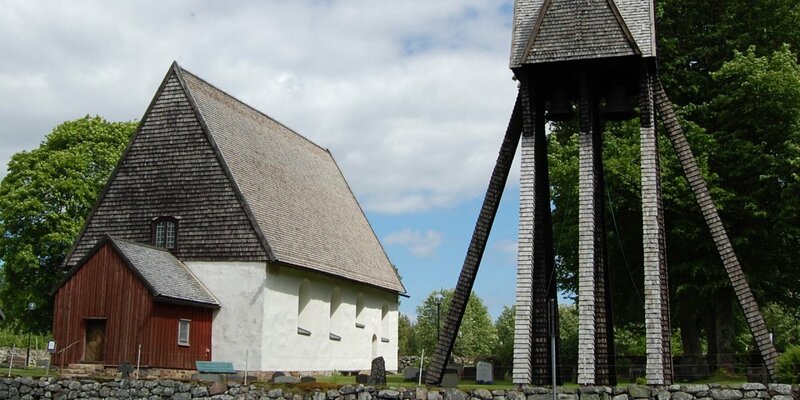 This wooden church had a brick sacristy, which is still in use as the sacristy of today's church. Some of the oldest sacral objects in the church date back to the 15th century, suggesting the special adoration of St. Olaf. 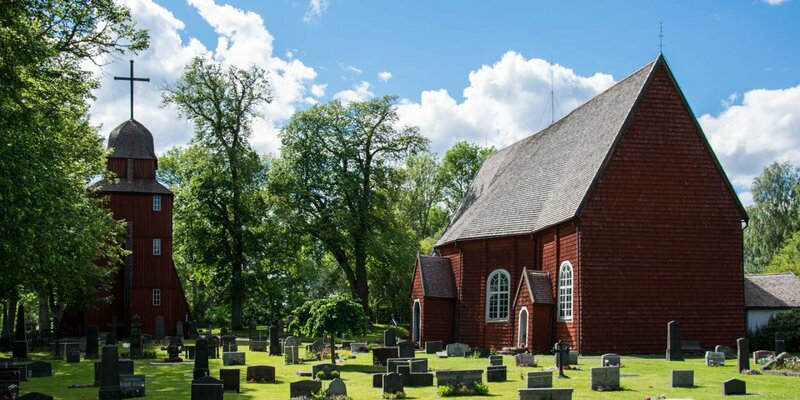 They nourish the assumption that in the Middle Ages the church was visited by pilgrims on their journey to the tomb of St. Olaf in the Nidaros Cathedral in Trondheim, Norway. At the end of the 15th and beginning of the 16th century, the present nave was built as an open hall church without interrupting pillars. The largest structural changes took place in the period from 1796 – 1803 and gave the church its present appearance. In the process, the bell tower, which had been free-standing until now, was replaced by the bell tower with its dome-shaped spire, which was added to the western gable wall. The nave was extended in an easterly direction by a choir room with a semi-circular outer wall. The oldest objects from the 15th century are the winged altarpiece depicting St. Olaf and the Apostle Andrew, the triumphal cross, a wooden sculpture of the suffering Christ and a Pietà in a shrine. The baptismal font made of polished red limestone and the richly decorated, relatively large pulpit are from the 17th century. The altarpiece with the Last Supper as a central motif was acquired in 1724.